The story of Karen and Mark’s Manhattan marriage and their perfect, perfectly beautiful daughter, Heather, who insidiously takes the place of each other in their affections, runs parallel to a less privileged one. Bobby, born to a New Jersey heroin addict and an unknown father, learns to use his background as leverage to get what he wants. The budding sociopath (a product of nature, nurture, or both?) graduates from torturing animals to sexual predation – and when he takes a job working on a construction site above teenage Heather’s apartment, she becomes a distant obsession; inevitably, their narratives will converge. 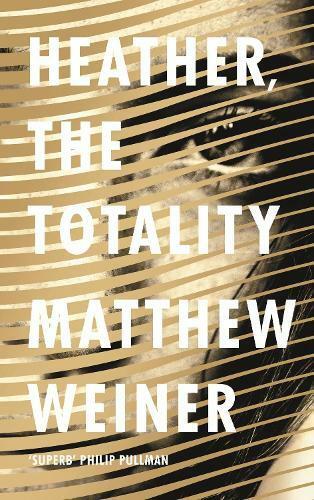 Weiner builds tension beautifully, and raises interesting questions about how personalities are shaped. Bobby and Heather are both canny observers of human nature, talented in moulding others to their will. This novella is somewhat flawed (the privileged narrative is more authentic than Bobby’s underdog), but fascinating. I look forward to Weiner’s next venture into print.